One of the most interesting Whare Ra members was Andrew Hamilton Russell (23 February 1868 – 29 November 1960) who is one of New Zealand’s great military heroes. Having served with the British army in India in August 1892, he got bored and returned to farming in Hawkes Bay. 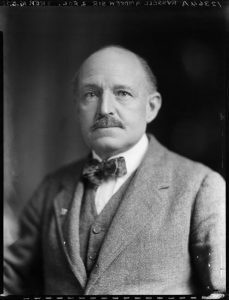 He helped form the Farmer’s Union and became involved conservative politics in NZ. In 1899 he raised a militia for the Boer War (the Wellington (East Coast) Mounted Rifles Regiment), although he did not go with them to South Africa. He was a lot more hands on in 1913 when he was the leader of a Massey’s Cossacks which was a cavalry unit formed from famers who aggressively put down striking workers. His troops were farmers who wanted to show these commo city types who was boss. Russell was one of the founder members of Whare Ra in 1914 and was named as Dr Felkin’s successor as Grandmaster of the Order of the Table Round when Felkin died. He was installed in the role but had to resign when WWII broke out he resigned. Reginald Gardiner was installed as the third Grandmaster in his place. The official record is a little confused as to how long Russell was the Grandmaster of OTR, claiming that he had to resign at the outbreak of WW1, however Felkin was still alive at that point and still the Grandmaster. 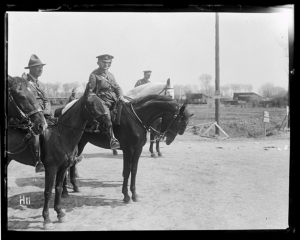 History might have looked unfavourably upon the strike breaking Russell had he not brilliantly led the New Zealand Mounted Rifles Brigade upon the outbreak of World War One, and rose swiftly to high command during the Gallipoli Campaign. He commanded the ANZAC evacuation from Gallipoli, and went on to achieve further distinction as the commander of the New Zealand Division on the Western Front in 1917 and 1918. 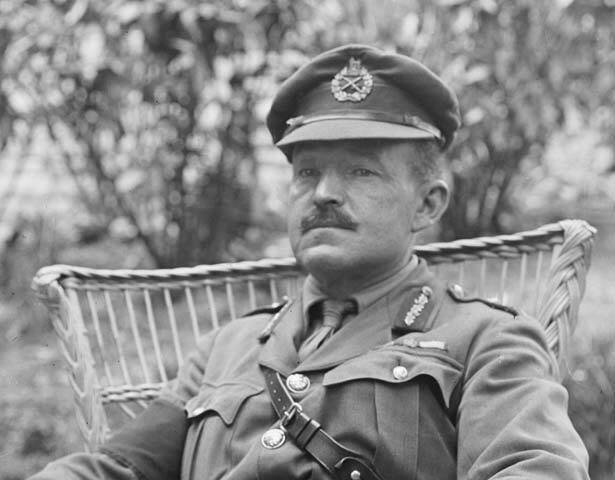 He effectively turned the NZ forces into the best in the line despite disastrous campaign decisions by other British commanders. What made him different from his British counterparts was he could put his hand up and admit he made a mistake as he did after the First Battle of Passchendaele which killed more NZ soldiers in a single day than any other event. With artillery hampered by rain and mud, an attack on Bellevue Spur faltered, leaving more than 800 New Zealanders killed and almost 2000 wounded or missing. This represents the highest recorded loss of New Zealand lives in a single day, He nearly was killed by a German sniper who managed to pierce his helmet when he was visiting a forward trench. Russell was a strict disciplinarian, and dealt with deserters by having them shot. The five he ordered executed were later posthumously pardoned in 1980. Never the less he returned home loaded with titles and was hailed in Maori, as ‘Ariki Toa’, The Fight Chief Sent Forward To Lead.” Golden Dawn historian Tony Fuller said that Russell handed Whare Ra his bayonet which was used as the sword of the Heirus which seems rather appropriate. After the war he spent two years in bed recovering. During WW2 Russell became the Inspector General of New Zealand Military Forces, before retiring again in July 1941, aged 73. Russell died at Tunanui on 29 November 1960, aged 92, and received a funeral service with full military honours. He was survived by his wife, three daughters and a son. The Obituaries on his death note that he was widely read, fluent in French (he read Proust in the original), an enthusiastic cellist, an opera lover, and a brilliant conversationalist. Despite these gifts, Russell, a man of strong Anglican religious convictions, was self-effacing and modest. Of course it fails to mention that he was senior adept in the Golden Dawn tradition.